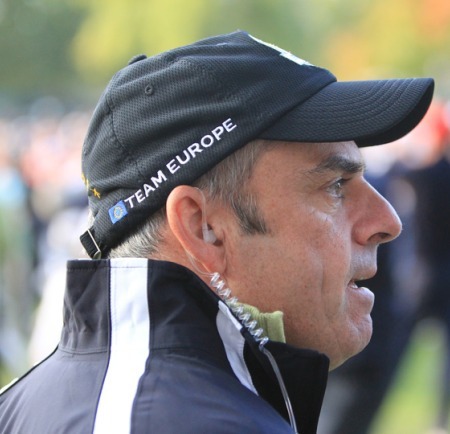 Paul McGinley underwent “a minor procedure” on his lower back on Friday. Pictured during the Friday morning foursomes at the Ryder Cup by Eoin Clarke/www.golffile.iePaul McGinley might be battling Darren Clarke for the 2014 Ryder Cup captaincy but he faces a more immediate challenge after being forced to undergo minor back surgery on Friday. The 45-year old Dubliner had “a small procedure” carried out on the base of his spine at a Birmingham hospital that could mean an early end to his 2012 campaign. 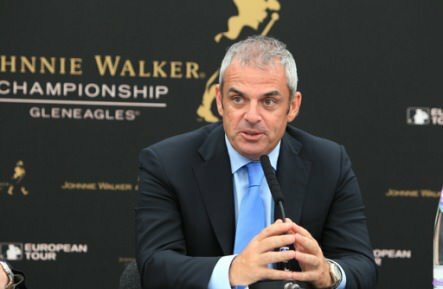 While he hopes to be back hitting balls within days, the problem forced McGinley to withdraw before the start of the Portugal Masters in Vilamoura this week and at 81st in the Race to Dubai standings he knows his hopes of making the top-60 who qualify for next month’s season-ending DP World Tour Championship in Dubai are fading fast. “My lower back was inflamed and in spasm due to wear and tear over the years,” explained McGinley, who has played a reduced schedule this year after narrowly avoiding an eighth knee operation last December. 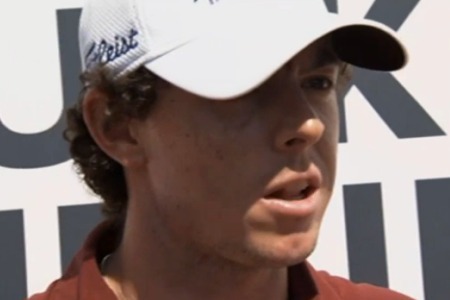 “It inflamed at the Ryder Cup and it hasn’t reacted as it normally does to treatment so the tour doctor has advised this small procedure with a specialised doctor here in Birmingham. McGinley missed the cut at last week’s Alfred Dunhill Links Championship and finds himself more than €80,000 outside the top 60 on the money list who qualify for the DP World Tour Championship. Relying on invitations or his status as one of the Top-40 in the Career Money List for starts this season, he will not get into the BMW Masters, the HSBC Champions, the Barclays Singapore Open or the Hong Kong Open over the next few weeks. The South African Open has a prize fund of just €1m which means that McGinley will need a top-two finish at the Serengeti Golf and Wildlife Estate in Ekurhuleni to qualify for the Dubai finale for the first time since the event began in 2009.